Last season’s home loss to the Saints still hurts Mark Anscombe. Ulster are determined not to slip up in Italy. EVEN BEFORE RAVENHILL’S brightly-lit stands had been cleared on Saturday night, Johann Muller was bringing his Ulster side back down to earth after the 48 – 0 Heineken Cup pool five hammering of Treviso. As we wrote on this webpage on Saturday night, Ulster have too much experience in their ranks to expect more of the same when the rematch comes in Italy this Saturday. “We respect them enormously at home on their own track,” head coach Mark Anscombe said before paraphrasing his skipper. “As Johann said to the boys in the shed afterwards; we were sitting over in England this time last year, pretty happy with what we had just achieved and we didn’t back it up. Perhaps Anscombe was also unwittingly delivering a helpful word of warning for Leinster. Last year, Ulster put in their best performance of the season at Franklin’s Gardens and came away with all five points. What followed however, a mild-mannered 9 -10 home defeat which brought a shuddering end to their 13-game winning streak, managed to leave a sour taste that lingered all the way through Ulster’s summer. Ancombe went on to express an acute awareness of the intangible emotional occasion that awaits. Franco Smith, after six long years of hard toil coaching the northern Italians, is being shooed out the door early having handed in his notice last summer. The expected increase in tempo to mark his exit never materialised at Ravenhill, but in Stadio di Monigo the fuse just might find an end. “No two days are the same in this game,” Anscombe added. The fact is we’ll enjoy tonight, but know there’s another challenge next week – with the quality and the number of internationals they have, they’re not going to back up after a performance like that. Email “Remember Northampton: Ulster get their heads right for return trip”. 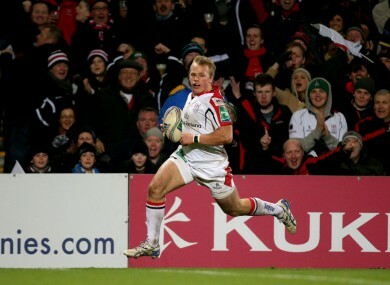 Feedback on “Remember Northampton: Ulster get their heads right for return trip”.